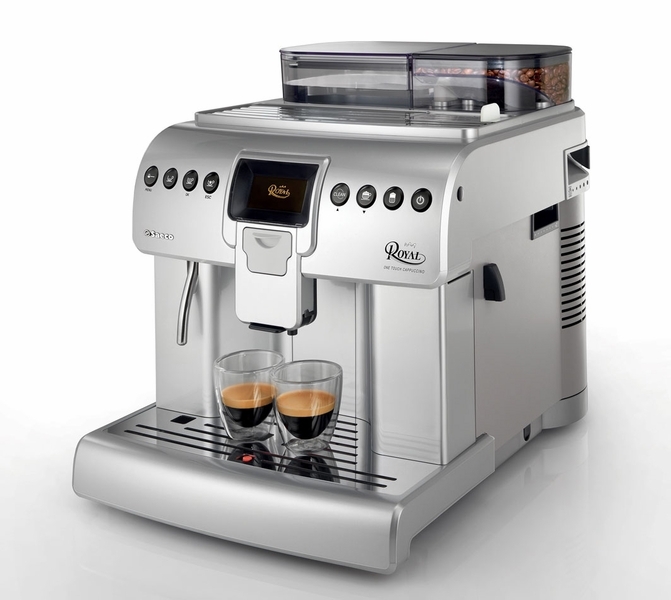 Saeco Royal One Touch Capuccino is the latest version of the Classic Saeco Royal Professional / Saeco Royal OTC (One Touch Cappuccino), a powerful upgrade on the original model. 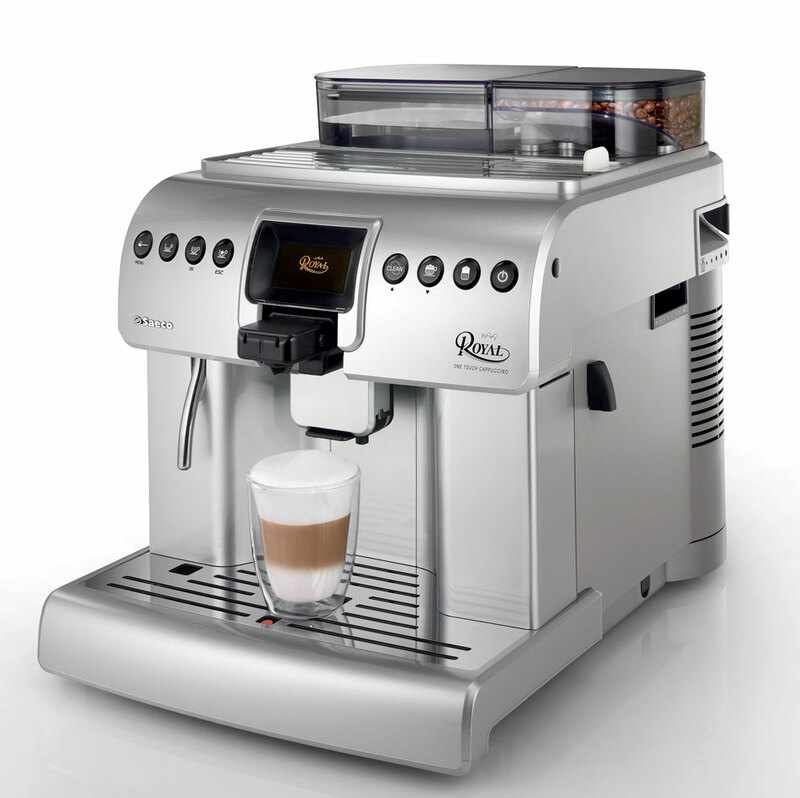 Large beverage variety endorsed by "Saeco quality-in-cup"
• New high performing / heavy duty cappuccinatore "pinless wonder"
New Cappuccinatore "Pinless Wonder": Using a patented technolgy, the new pinless wonder cappuccinatore ensures the best quality in cup for milk based beverages. 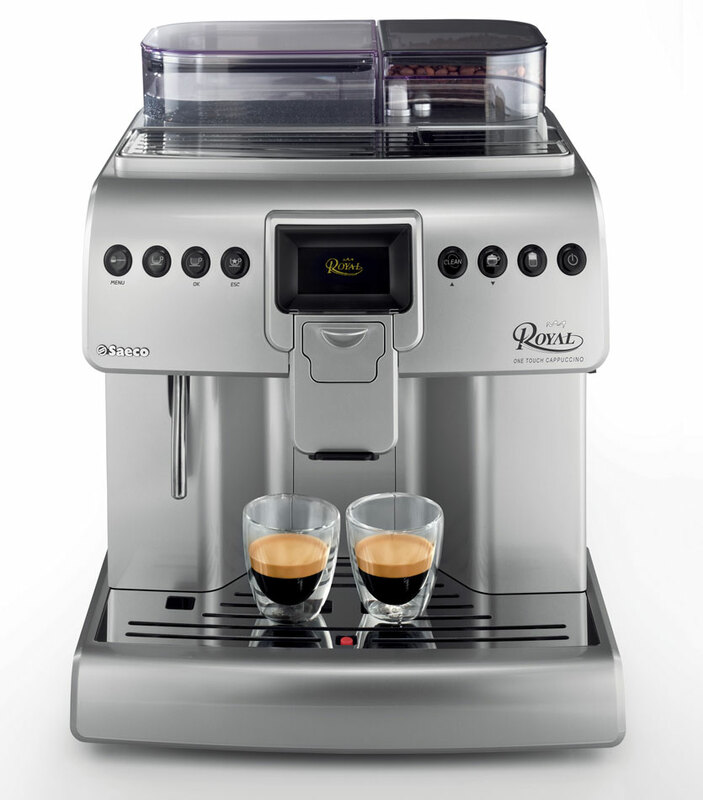 The high delta temperature and the uniformity of the milk foam are the basic ingredients for perfect recipes. The flow of the milk during the dispensing is regular and without splashing. It’s a Plug and Play device to be inserted in the nose of the machine Pinless wonder technology is also less sensible to "wrong" (or missing) cleaning,keeping its frothing performance even in the toughest working conditions. 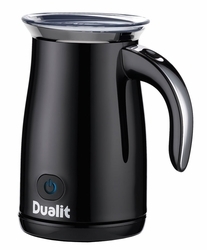 The two independent hydraulic systems with double boiler and double pump (high pressure espresso and low pressure for steam) ensure always the optimal conditions for the best product in cup, immediately available.